On the way to the shop I stopped at Harbor Freight and bought a 7-pack of 500 grit wet/dry sandpaper, and boy it finishes fast. The “you are going to need patience” advice kicked in tonight. It was so strange, after hand-sanding and also trying out the tiny little brash brush with the Dremel, I thought that it was getting close to the metal but Pat showed me how there was still clear-coat on there. What?! You can’t see it, and it is very shiny, but you can feel it. It feels like the fine grain of a leather jacket, and it has kind of a different finish than the edges where you can feel that all of the clear-coat is gone. Numerous breaks were necessary, and the dish-washing gloves helped. The Dremel was pretty helpful for digging crud out of some of the tight spots, and I’ll need to buy some new tips. 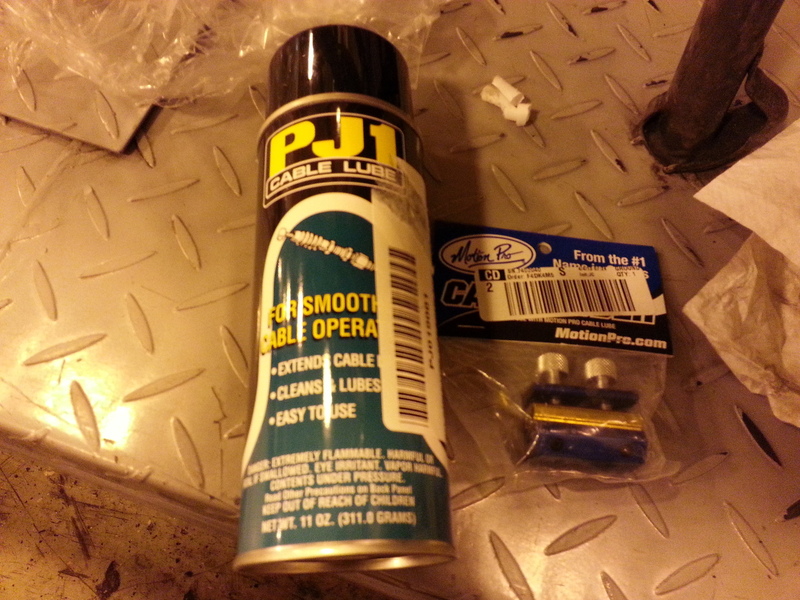 Pat brought in his recommended choke and throttle lube, Remington Wonder Lube. Wowww, Grant-san, getting shinny day by day!! Looks new now. Great job Grant-san! in the spray can? It is GREAT stuff. In Manchester, or Concord, N. H.
Never have been able to find that product again; and I do keep searching!